Yesterday, the American Center for Law and Justice (ACLJ) filed an amicus brief defending the religious liberty rights of Lance Corporal Monifa Sterling. The brief was filed on behalf of the ACLJ, U.S. Members of Congress, and over 175,000 ACLJ members who have joined our Committee to Support Religious Freedom in the Military. 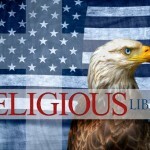 Today Is National Religious Freedom Day! Progressives, who love to congratulate themselves on their tolerance and pluralism, are increasing intolerant when it comes to religion – or Christianity, anyway. Muslims seem to get a pass. On college campuses, Christian groups that refuse to allow non-believers to become officers have been forced to disband. In South Carolina, the atheist group Freedom from Religion Foundation pressured a privately-owned restaurant to cease offering discounts to customers who pray before their meals. The groups suggested Mary’s Gourmet Diner was in violation of the Civil Rights Act. Posted in News Posts | Comments Off on Today Is National Religious Freedom Day! This year, I was able to lead Members of the Congressional Prayer Caucus in successfully working with the Air Force to strengthen religious protections for Airmen by actively advocating for a change in Air Force regulations governing religious expression. The Thomas More Society has won permanent protection for Autocam Medical, LLC, protecting its religious freedom to decline to provide abortion or contraceptive group insurance coverage for employees. Yesterday concluded a long legal battle that took Autocam all the way up to the United States Supreme Court, which sent the case back down to the lower courts. The Air Force’s new policy more clearly reflects the priority of religious freedom in our Constitution and in the conscience protections for servicemembers and chaplains that Congress passed in the National Defense Authorization Act. Whereas the old language was misleading and confusing for Commanders to apply, these revisions point to well-established standards for protecting religious expression. The Voice Of the Martyrs Canada (VOMC) said graduates of Trinity Western University (TWU) law school would “not longer be able to practise law” in Canada’s western British Columbia province. The Law Society’s decision came after a referendum in which provincial lawyers rejected TWU’s practise of requiring students to sign a controversial pledge on personal conduct. The Trinity Western law school’s accreditation has become a controversial issue among members of many law societies in Canada because of the “discriminatory” nature of the school’s student covenant. Students upon enrollment must sign an agreement, which among other things, bans sexual activity that “violates the sacredness of a marriage between a man and a woman.” If a homosexual student at the school was recognized as married by Canadian law, he or she would not be allowed to have sexual relations with his/her spouse while enrolled at the school.